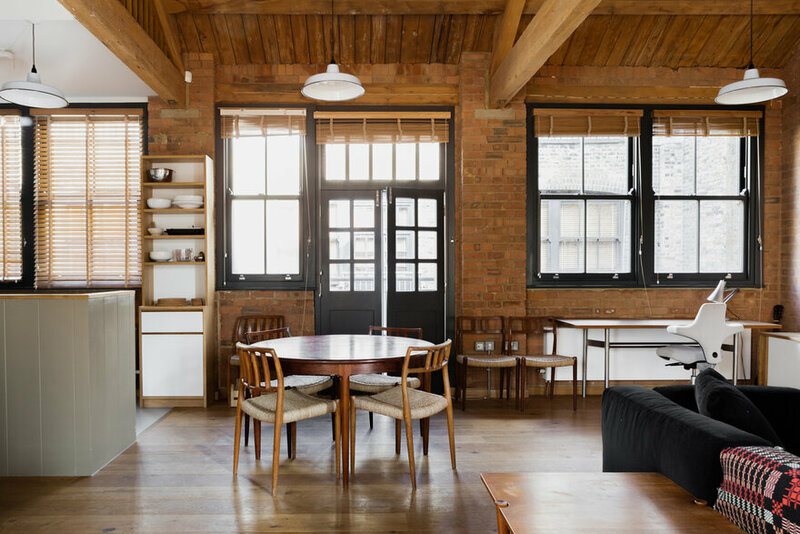 Charlotte Road is a collection of 9 high-end apartments in Hackney by Emil Eve Architects. 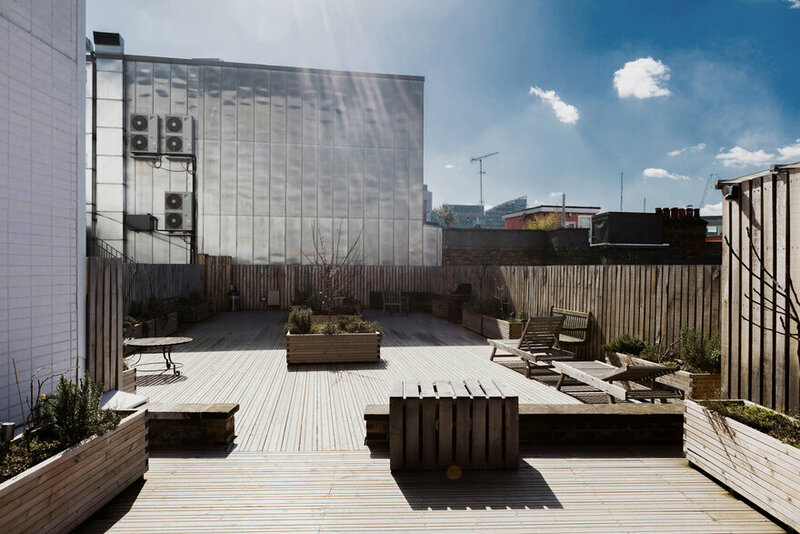 Five interlinked Victorian warehouses have been reconfigured and refurbished and a large roof terrace created. 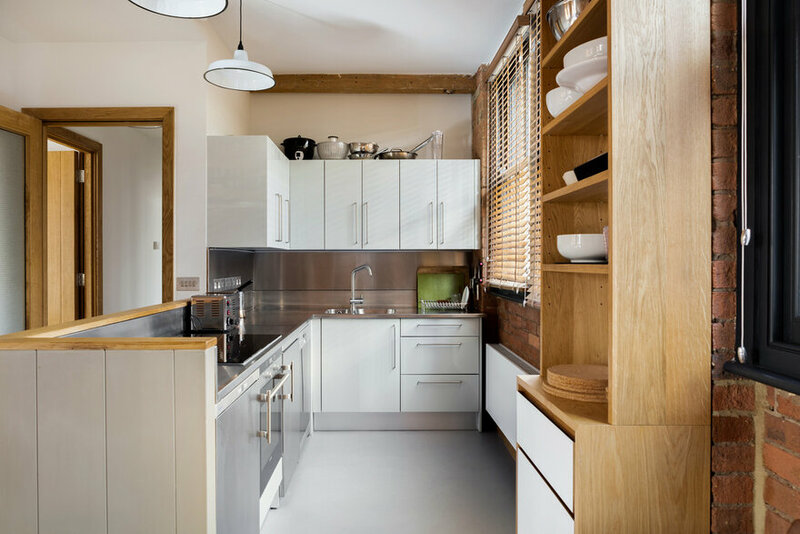 Original features such as glazed brickwork, exposed timber structures and historic ‘quirks’ have been retained and restored. 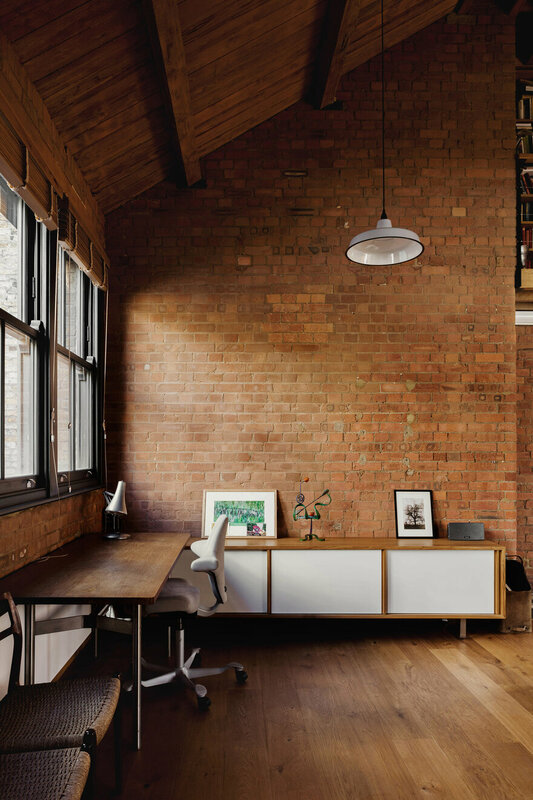 Contemporary detailing compliments these elements of the building’s industrial past to create warm and welcoming interiors with a palette of rich textures and materials. 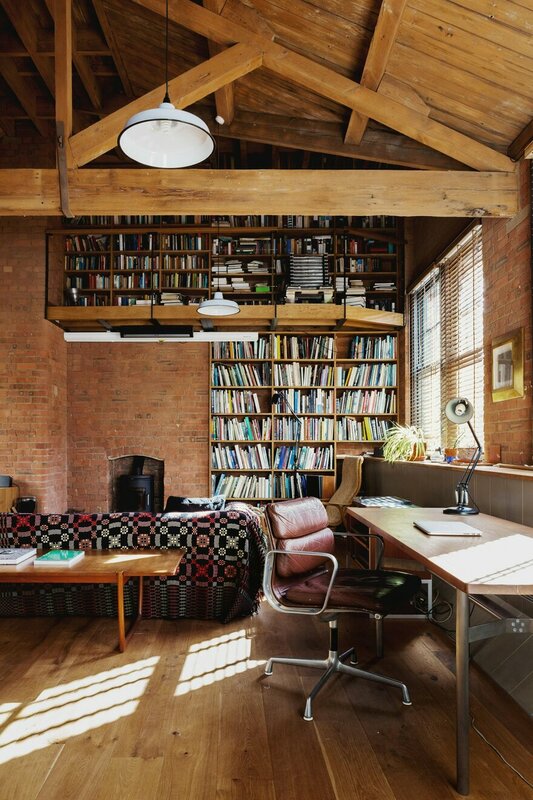 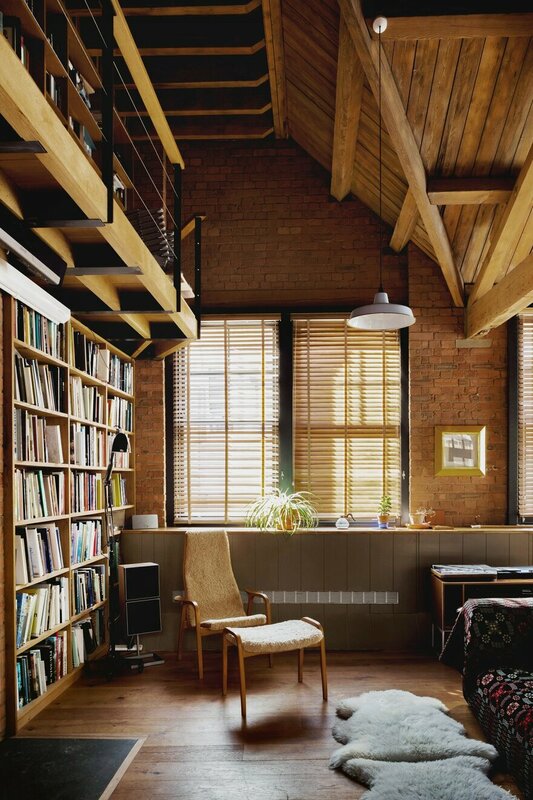 The two-bedroom loft apartment features a large open-plan living and dining area, floor to ceiling oak bookshelves, a new library mezzanine and simple contemporary bathroom and kitchen. 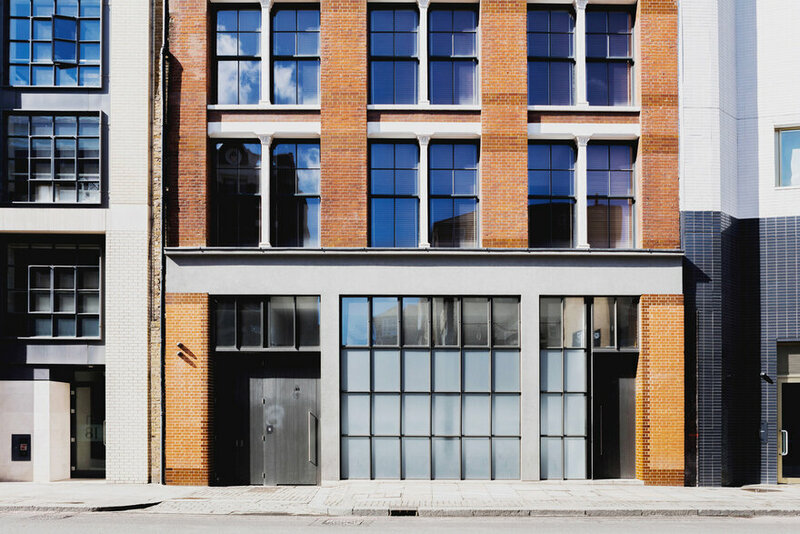 The street façade (on Curtain Road) had been remodeled in the 1980’s and was looking very dated and unloved. 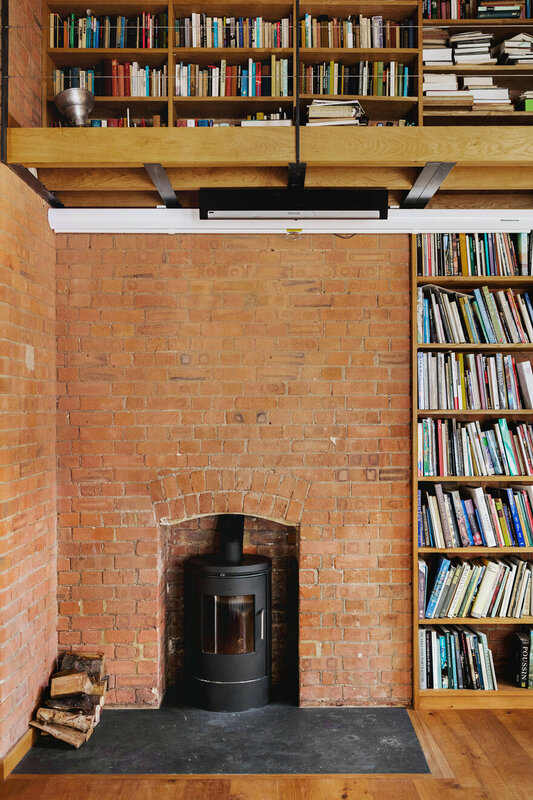 We used steel-framed glazing, glazed bricks and large bespoke solid timber doors to reinstate the original industrial character while incorporating simple contemporary detailing. 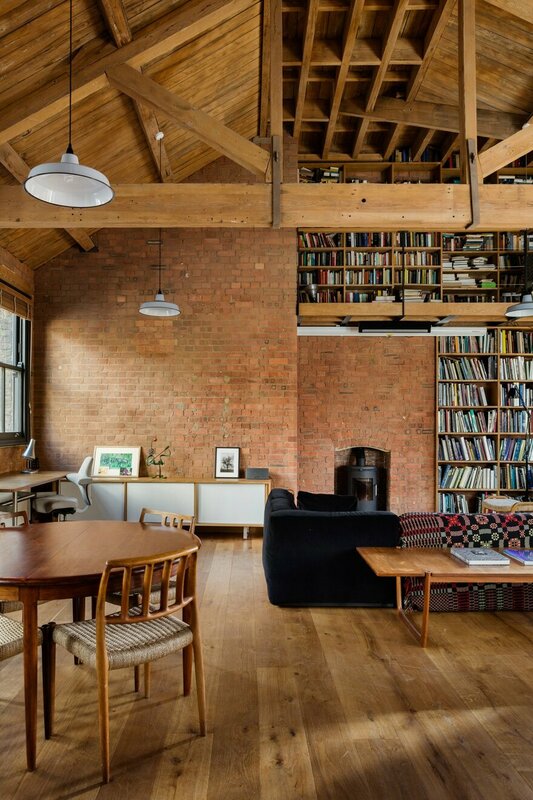 Internally, we exposed and restored the brickwork walls, timber structure and features such as steel lift doors and original columns. 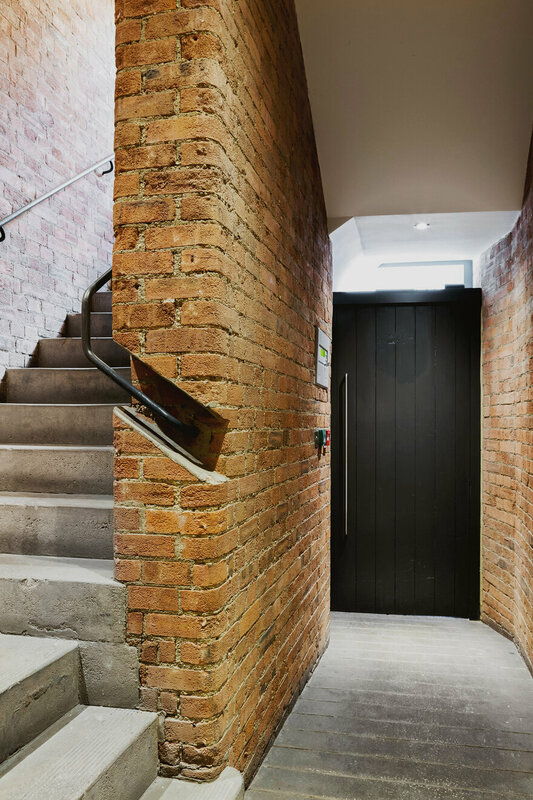 The stairs had beautiful handrails cut into the brickwork and we tried to celebrate details such as these by doing very little to them. 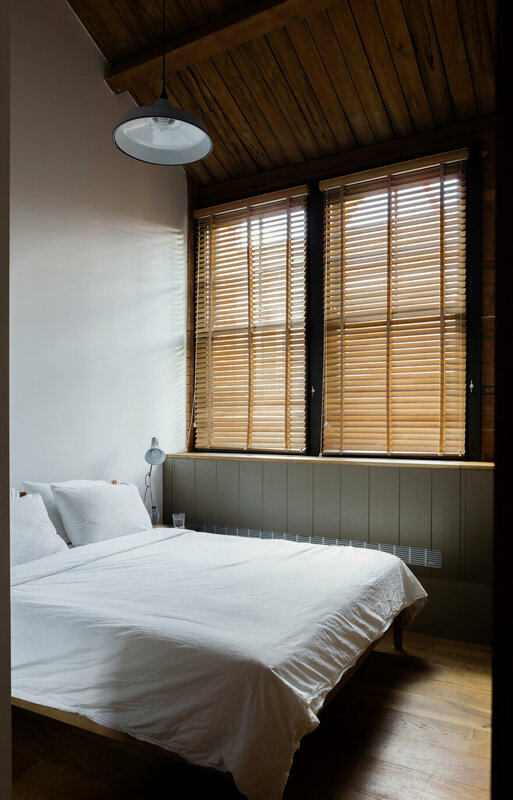 Poor quality windows were replaced by new double-glazed sashes and simple high quality bathrooms and kitchens were installed. 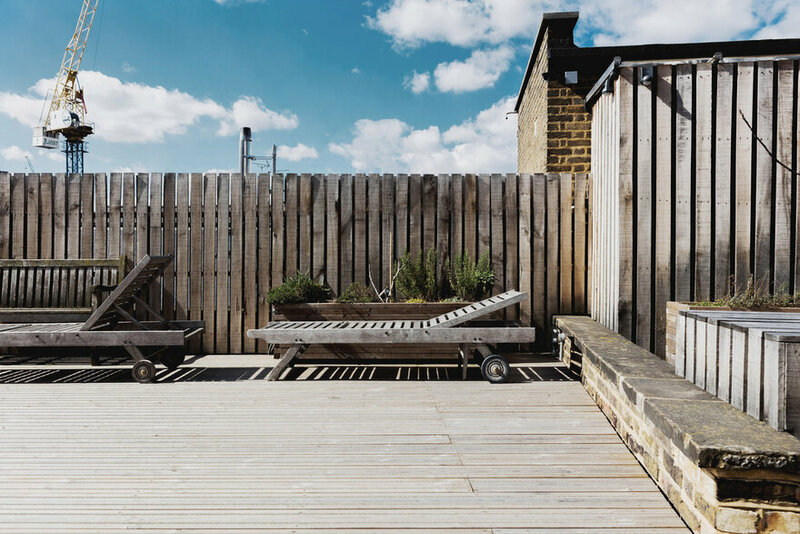 The client is a small development company who own a number of properties in East London. 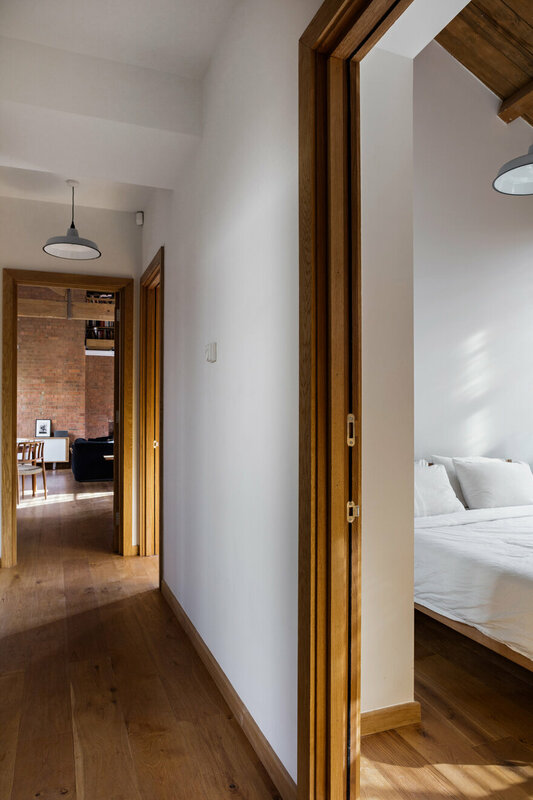 They like to find buildings which other developers may see as a challenge – either because of their conservation status or because their layout means that each apartment needs to be a unique design rather than repeat units. 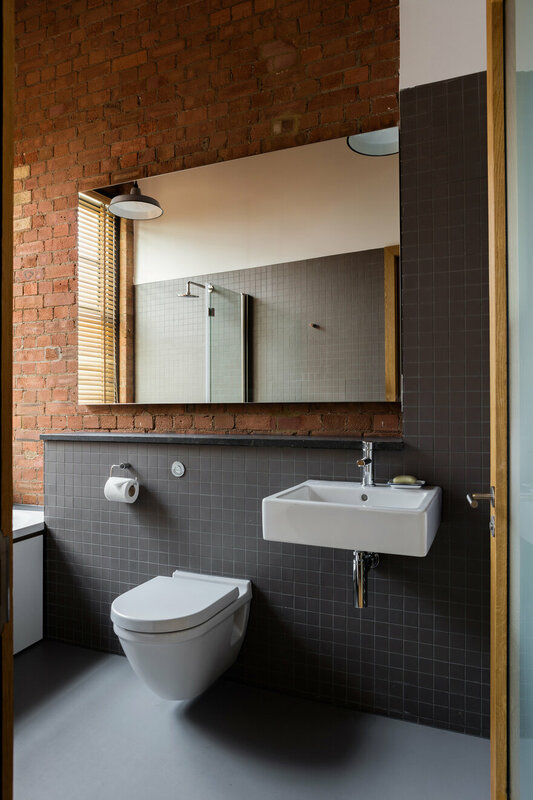 The Charlotte Road apartments were designed to be let rather than sold, so the brief asked for high quality and durable materials and fittings and unique spaces which reflect the original industrial character of the building and neighbourhood.